Munich - FC Bayern Munich kicked off their pre-season preparations with a 1-0 friendly victory over local outfit SpVgg Unterhaching on Tuesday, though it was clear from the performance that the players still have some way to go before reaching peak fitness ahead of the Bundesliga season start on 24 August. New signings Tom Starke, Dante and Mitchell Weiser all joined Xherdan Shaqiri in making their debuts for the Rekordmeister. The Swiss youngster, who arrived from FC Basel over the summer, played the entire game in central midfield and spoke afterwards about his first few days in Bavaria. 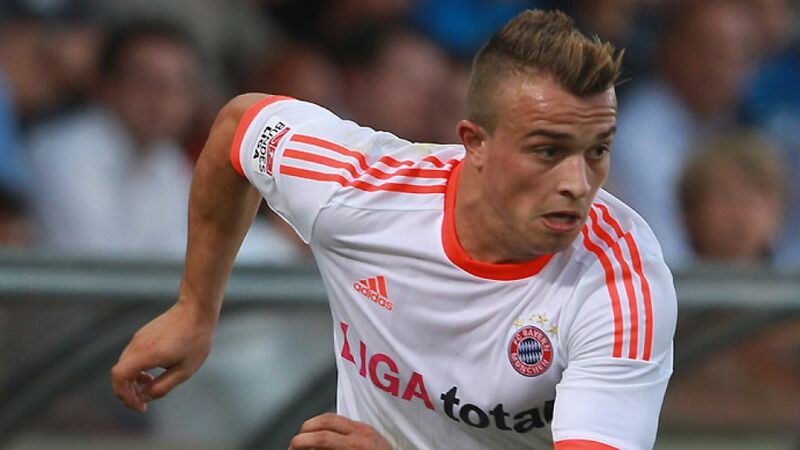 Question: Herr Shaqiri, that first friendly match looked like hard work. What did you make of your first 90 minutes in an FC Bayern shirt? Xherdan Shaqiri: Of course it's always a bit hard to gel in the first game. We've only been training a week, so there were some heavy legs out there. Unterhaching start their season next week and they were obviously highly motivated to play us. They did well and created some chances, but the important thing for us was that we got out on the pitch together for the first time. Question: What impressions have you taken from your first week at Bayern? How does it differ from FC Basel? Shaqiri: I've come from a club which won a lot of titles and obviously I want to continue that with my new club. The Bundesliga is a stronger league and I'm determined to continue my development, that's why I came to FC Bayern. I think we're on the right track and we've laid the foundations for a good start to the season. It was very important for me to integrate into the club in my first week and so far it's gone really well. Shaqiri: It could be advantageous, but not just for me - for every player who's here. The internationals know when they come back they're going to have to give it 100 per cent. Of course there is going to be competition for places here, but we have to be there for one another and I hope we get off to a good start. Question: You played behind the strikers against Unterhaching. Where do you see yourself playing for Bayern in future? Shaqiri: I'm a very versatile player and I wouldn't like to say where I should play. I can play behind the strikers or on the wings. Obviously it's important for players to be flexible in order to increase their chances of playing. Question: Your new sporting director Matthias Sammer has observed all training sessions and this first friendly game from the sidelines. What has your experience of him been like so far? Shaqiri: He always got stuck in as a player too. As sporting director, he's responsible for how we perform and obviously he wants to know about everything that's going on with the team. We've had a short exchange and he'll be in contact with the players a lot more in future.